Liturgical smalls can be one of the most problematic area of sacristy maintenance, I find. The secrets of how to distinguish a purificator from a lavabo towel, or how to fold a corporal just right are, it seems, under the disciplina arcani, passed at a crossroads by midnight from one good person (usually women) to another. This can bring problems, because if a glitch gets into the system, it's very hard to convince somebody that what they've been doing (and their mother and grandmother before them) isn't quite right. 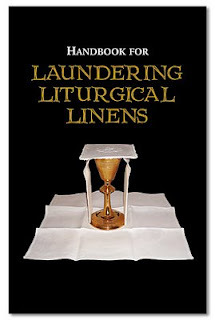 So I was delighted to see a publication, the Handbook for Laundering Liturgical Linen, and have bought several for my parish, and am delighted with the result. It is a very user-friendly introduction to the whole art, and my only regret is that it doesn't go on to deal with the larger linens, such as albs and altar cloths, the laundering of which remain sub sigillo. Angelus Press is the publisher, and I gather the Society of St Pius X is behind the scheme, but I'm all for ecumenism if it means the amices will be properly cared for. 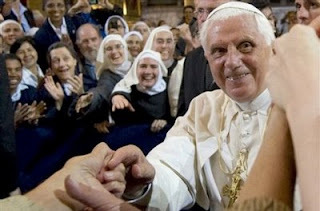 Andrew Cusack has posted a really good account of Pope Benedict's visit to Paris. I'm grateful to Fr Tim for pointing it out on his blog. I have been watching with interest a house on the Upper Shoreham Road. Over the last couple of years, the inhabitants have been erecting vast wrought-iron fences—seemingly at night, for I have never seen them at work—then taking them down, and then putting them up again. They are nice pieces of work, though rather over the top for what appears to be a modest Shoreham bungalow behind them. But then, to my amazement, a sort of rockery appeared behind the railings, topped with a statue of what looks like our Lady of Lourdes in wood (though possibly only coloured as wood) facing the house, with her back to the road. These are clearly pious people, though I have no knowledge of any Catholics at that address. One of my parishioners, who lives on the same road, gently investigated. Apparently, these people are Coptic Christians. As I have remarked before, there are quite a lot of Copts in this area, though they tend to concentrate in Brighton. But there is more. Apparently some Copts have been seeing visions of our Lady in Shoreham. I don't know anything further, but it's nice to think of, and certainly it is nice to see the statue of our Lady as I drive most days past it on my way to Steyning or Upper Beeding. Another apparition was seen over Worthing in July: this one was apparently a UFO. You can read about it here. In fact last year, a similar sighting was reported in Shoreham itself. This sort of thing has never interested me much, though I know a major religious superior who is fascinated by it. I'm so sorry for not posting over the last week: initially I had some very welcome visitors, and then a hefty bug worked its way through my body, pummelling one bit after another. Only this morning am I feeling human again. I actually liked the old look, but for some reason the links ceased to appear on the page. This is a very old look; in fact I think Valle Adurni began in this format. As in so much else these days, everything old is new again. Some have been suggesting that the Sons of the Most Holy Redeemer (formerly known as the Transalpine Redemptorists) have not been reconciled with the Holy See, but simply that a couple of their members have had their orders regularized. Here is the refutation; it is perfectly straightforward—if you can read Italian—, and if not, my rough-and-ready translation is below. Congratulations, Fathers. Father Gregory Wilson Rae Sim has returned with his community into full communion with the Catholic Church on 18th June 2008. This act of regularization has been accepted by Cardinal Darío Castrillón Hoyos, President of the Pontifical Commission Ecclesia Dei. Father Gregory had founded a group whom he called Transalpine Redemptorists on 2nd August 1988, under the guidance of His Excellency Mgr Marcel Lefebvre, and on that occasion took the name of Fr Michael Mary. Now this community is reconciled with the Church, and the three priest members have been regularized. As a sign of this full communion with the Catholic Church, they have changed their name to the Sons of the Most Holy Redeemer, and they are en route towards the approval of their Institute. 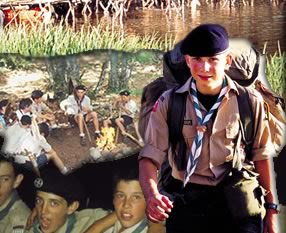 The community consists of 18 members, who have been approved along with the three priests. For faculties, they must proceed as the law requires. For the last nine years, the community has lived on the island of Papa Stronsay on the diocese of Aberdeen in Scotland. I have just made a list of fifteen diocesan clerics who would (in my opinion) make fine bishops and are, ceteris paribus, eligible. Not all these men agree with me in every particular, but they are all highly talented men, all anxious for the Kingdom of God. It is, however, interesting that not a single one of them has at any stage been promoted higher than parish priest [pastor]. One has been a Dean [vicar forane], but none has achieved any higher office. The only thing they have in common (beyond the obvious) is that they believe in every doctrine of the Catholic Church and are concerned that things in this country are not progressing as they might. All are pastorally zealous, most are fine preachers, all are loyal sons of the Church and loyal to their own bishops. Yet they have seen others with none of these attributes appointed over their heads. The difficulty is that, unless one achieves an office higher than that of parish priest, one is never in a position to be noticed for higher office. Right now, though a great deal of attention has (understandably) gone into the successor to Cardinal Murphy-O'Connor, there are actually at least six or seven episcopal appointments pending. I have very little hope that even one of my list of fifteen will make it. Two on my list have never even been allowed to make it to priesthood. Today's Martyrology has a few interesting entries. 7. At Ripon, in England, blessed William Browne, martyr, who, under King James I was condemned to be hanged and dissected for having persuaded others to reconcile to the Catholic faith. (The dissection, I assume, means quartering, and not being given to scientists as a hundred years later). 8. In a filthy ship anchored out at sea by Rochefort in France, blessed Florence Dumontet de Cardaillac, priest and martyr, who, during the French Revolution, was condemned for his priesthood, assisting his fellow captives and the sick with charity and zeal until illness completed his martyrdom. 9. In the city of Ninh Tai in Vietnam, the holy martyrs Peter Nguyen Van Tu, a Dominican priest, and Joseph Hoang Luong Canh, a doctor, who were beheaded out of hatred for the name of Christian. [I have made no attempt to reproduce the baroque diacritical marks in the Vietnamese names. Most days there are Vietnamese or Korean names in the Martyrology, which I forgot to mention yesterday]. 10. In Calcutta in India [sic], blessed Teresa (Agnes) Gonhxa Bojaxhiu, virgin, who, born in Epirus, in order to quench the thirst of Christ abandoned on the cross in his poor brethren, founded the female and male Missionaries of Charity to give themselves utterly to the sick and abandoned. For some months now, as part of my daily devotions, I've been reading the day's Martyrlogy. My family kindly bought me a copy when we had a reunion in Rome in the spring. It really has been an interesting exercise. For instance, did you know that the Old Testament prophets and some other figures have an annual feastday? 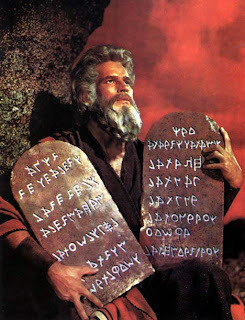 Today is the feastday of Saint Moses, for instance. The translation below is my own, done in rather a hurry, so excuse any blunders. The day before the Nones of September, the third day of the current lunar cycle. 1. The commemoration of Saint Moses, prophet, whom God chose to lead his oppressed people out of Egypt and into the promised land, to whom also he revealed himself on Mount Sinai, saying 'I am who am' and gave the Law to govern the lives of the chosen people. This servant of God died, full of days, on Mount Nebo in the land of Moab, in sight of the promised land. 2. At Chalons, in Gaul, St Marcellus, martyr. 3. At Rome, in the cemetery of Maximus, on via Salaria, the burial of Pope St Boniface I, who settled many disputed ecclesiastical matters. 4. Chartres, in Neustria, St Caletricus, bishop. 5. Heresfeld in Saxony, St Ida, widow of Duke Ecbert, noted for her care of the poor and her assiduous prayers. 6. At Mende in Aquitaine, St Fredaldus, bishop and martyr. 7. At Cologne in Lotharingia, St Irmgard, who, as Countess of Süchteln, gave her goods for church building. 8. At Palermo in Sicily, St Rosalia, virgin, who on Monte Pellegrino is believed to have lived a solitary life. 9. At Cuneo in Piedmont, blessed Catherine Mattei, virgin, Penitential Sister of St Dominic, who suffered constant bad health, the calumnies of men and many temptations with wonderful charity and bore them with a host of virtues. 10. At anchor on the open sea just outside Rochefort on the French coast, blessed Scipio Jerome Brigéat de Lambert, priest and martyr, who, during the persecution of the French Revolution, being a canon of Avranches, was thrown into a prison hulk under inhuman conditions on account of his priesthood, where he died of hunger. 11. In the town of Sillery in Quebec, Canada, blessed Mary of St Cecilia of Rome (Dinah) Bélanger, virgin, from the religious Congregation of Jesus and Mary who lived only a short time dedicated to God on account of grave illness. 12. In the town of Oropesa, in Castille, on the Spanish coast, blessed Joseph Paschal Carda Saporta, priest from the Priestly Society of Diocesan Work, and martyr, who, while the persecution of the Church [in the Spanish Civil War] raged, was taken in glorious martyrdom in the hatred of religion. 13. In the village of Teulada in Spain near Lucentum [I can't translate this: anyone? ], blessed Francisco Sendra Ivars, priest and martyr, who was martyred in the same persecution of the faith. 14. Near the village of Genovés in the district of Valencia, also in Spain, blessed Bernard (Joseph) Bieda Grau, a religious of the Order of Friars Minor (Capuchins) and martyr, who in the same turbulent period fought mightily for Christ. et alibi aliorum plurimorum sanctorum Martyrum, Confessorum, atque sanctarum Virginum. This is a fairly typical day, in fact. They might have added (but didn't) St Cuthbert, of course. Him they put on the 20th March. In the Sarum Calendar, Cuthbert is kept on 20th March, whereas today was his translation (presumably from Lindesfarne to Durham). There are usually a couple of English martyrs—they often tend to coalesce around the quarterly Assizes—and a couple of priests from the prison hulks at Rochefort, some martyrs of the Spanish Civil War period, and usually a couple of names of people killed for being Polish by the Nazis, and beatified by Pope John Paul II. 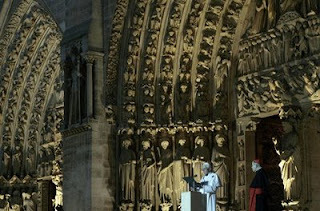 Yesterday and the day before, there were commemorated countless numbers of clerics guillotined in Paris during the revolution. 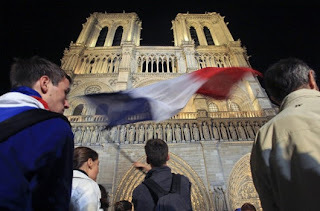 The numbers done on one day are quite shocking: On 1st September, 116 bishops, priests and other clerics in Paris, and on 2nd September another 75. Staying at Minster Abbey has stirred memories in me which I have buried, somewhat, as one does secret griefs. When I was a seminarian, I spent some weeks in the parish of St Richard in Chichester; this was to prove a significant time for me, for, amongst many other good things, I became acquainted with the Carmelite Convent that lay in the fields just outside the Chichester ring-road. Yes, it was the Carmelite Convent—they spurned the nomenclature of 'Monastery' as a modern new-fangled thing (at least in their context), for these sisters had a serious history. They were founded in the Low Countries, at Hoogstraet, as a Carmel for English women during the penal days, and were driven back to Britain by the Napoleonic wars, which posed a worse threat to their contemplative life than the Protestant people of England. They managed to smuggle many treasures out with them—under their habits, the tradition goes. That must have been an extraordinary sight, for there was a remarkable Flemish tabernacle in ebony and silver, at least three feet high and two broad. The sisters settled eventually in Chichester and built themselves a convent there, where they flourished like the green bay tree. They were, of course, delighted at the canonization of St Thérèse of Lisieux, but it brought a lot of trouble in its wake, for a number of Carmels were set up in Britain at this time, on the crest of the wave of enthusiasm, I suppose. The sisters told me that some French sister was responsible for about half of them. A Carmel is not really supposed to exceed twelve sisters (though it often did), or, exceptionally, twenty-four in a double Carmel, so as more young women wanted to join, they simply built more Carmels. That was great at the time, but it meant that once the enthusiasm had passed, it was harder to keep the number of communities going. Many merged; Chichester indeed, absorbed the former Carmel of Waterbeach in Cambridgeshire—in the process, two blood-sisters, the Prioresses of each community, met each other for the first time since their professions and were thereafter reunited. In this way, Chichester kept its head above water, but in the early 1990s it began to feel stressed by the presence of many elderly sisters, and few vocations coming in. They looked at this and that possibility, but decided, in the event, to disperse and close. They faced their future with typical courage and detachment. Their collection of precious things, smuggled out from the Low Countries, were sold at auction. Vestments were found homes here and there—some to St Richard's parish in Chichester, others to the Sacred Heart parish in Hove—the prodigious collection of relics together with the choir grille found their way to the Oxford Oratory where they can be seen to this day. The beautiful tabernacle mentioned above found its way to the Teresianum in Rome, I believe. The sisters themselves dispersed to the Carmels in Scotland, to Sclerder in Cornwall (near Looe) and two or three even to Terre Haute in Indiana, which Carmel also descended vaguely from Hoogstraet. One special relic I must mention. At the time I am writing of—it must be 1994 or 5—I was the Diocesan Archivist (the most boring job I have ever held, but for this one event). I had to go to the Carmel with the assistant, now Fr Jonathan Martin, on my last visit, to authenticate some relics—which is to say, to supervise the opening of an old reliquary, transfer the contents into a new one, seal it up, and sign the certificates. The relics concerned were the wimples taken off by the Carmelite nuns of Compiégne as they mounted the scaffold for the guillotine during the French Revolution. Somehow they had ended up in the care of the Sisters of Hoogstraet/Chichester. These nuns were the ones that inspired Poulenc's famous opera Dialogue des Carmelites, and who famously processed one by one to the guillotine, having received the blessing of the Prioress, singing the Salve Regina. Finally the prioress ascended the scaffold and went to God when all her sisters had been seen safely home. It is one of those moments in one's life that one never forgets. The wimples, by the way, were being sent to the present-day Carmel at Compiégne as a very special gift. To this day I still bitterly regret the closure of the Chichester Carmel. Those sisters had helped me take my first steps in prayer, and I miss them like a limb. I still honestly believe that the closure need never have happened had others taken an interest and helped. There could have been another solution. There were enough young and able sisters to keep it going, even if their older ones had to be found homes elsewhere, perhaps in places where they could be nursed. But even their dispersal and closure was, perhaps, a lesson to me in detachment. The Lord gives, and the Lord takes away. Blessed be the name of the Lord. 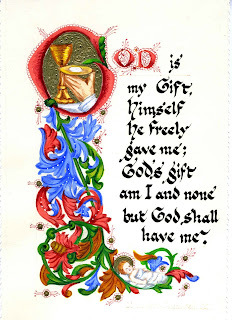 I haven't got any pictures of the Carmel, but the illustration above is the calligraphy they did for me on my ordination in 1989, a quotation from Blessed Robert Southwell. It stands opposite my bed, and I often think of the sisters and say a prayer for them. I don't know how many sisters are still alive now. Perhaps they all are. I hope so, and that they continue to help others find our Lord. If you happen to be reading this, sisters, thank you and 'God reward you'. After having written the above, I came across this web page. It made me very sad. All the old faces are there. I've been spending my few days of Retreat at St Mildred's Abbey, Minster, on the Isle of Thanet in Kent. For those who aren't from round here, that is near Dover, the nearest point to France. St Augustine landed here to bring the Gospel to the pagan Saxons of the Kingdom of Kent; there is a commemorative cross very near the Abbey. The Abbey was founded only a couple of generations after St Augustine, and was peopled by nuns including St Domneva, the foundress; her daughter St Mildred, and St Eadburga, until the Vikings drove them out. In later years, the Abbey was refounded by Benedictine monks, who remained until the Reformation, after which some of the conventual buildings were converted into a manor. In the late 1930s, the Benedictine nuns of Eichstätt courageously circumvented the political turmoil of the days and refounded the Abbey (though at the moment it is technically a priory)—these days the twelve sisters are mostly English (though the young Prioress is German) and carry out the opus Dei of the canonical hours and the hospitality for which the Benedictines are famed. They have a website here, and I commend them much to your prayers. It is very good to find such a flourishing witness to the Benedictine life alive and well in the South East. With Minster Abbey and St Cecilia's Abbey at Ryde on the Isle of Wight, we are very blessed with good Benedictine nuns in this part of the world. Emerging from the stone under which I have been hiding for the last week or so, I find people still buzzing with the news that Mgr Jim Curry has been hotly (or at lest expensively) tipped for Westminster. Well, it's possible, I suppose; he was Cardinal Hume's secretary for several years, so he knows where a lot of the bodies are buried. 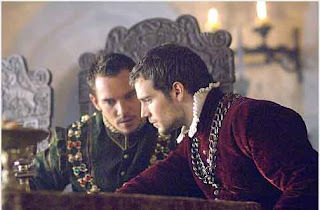 However, unless Rome decides to go for a member of the magic circle, I doubt his chances are that good. Mgr Curry isn't in the obvious inner magic circle, but a little bit further out, so I suppose he might be regarded as a sort of compromise candidate. I'm sure Mgr Curry is an excellent chap in many ways, but I don't think he's likely to represent much of a change from current policy. On the other hand, I have wondered about Fr Terence Phipps, the Parish Priest at St James, Spanish Place. A moral theologian (a good idea these days), he has been the Precentor at Westminster Cathedral, and has liturgical ability and gravitas. He can celebrate the Extraordinary form if required, though usually celebrates the Ordinary one. He is known for his work with the DePaul trust, a charitable organization. The fact that he is not a Mgr, but still a mere Fr suggests to me that he is not a member of the magic circle, but he is well known; if we were to have a secular priest from the Westminster Diocese for the job, which I think would be a good idea, it strikes me that (unless others know what I don't) he might well fit the bill.